Exploitative authoritative systems (System 1) exhibit an autocratic, top-down approach to leadership. at the top of the organization. System 1 results in mediocre performance. within boundaries defined by management. Consultative systems (System 3) increase employee interaction, communication, and decision making. decisions. Productivity is good, and employees are moderately satisfied with the organization. 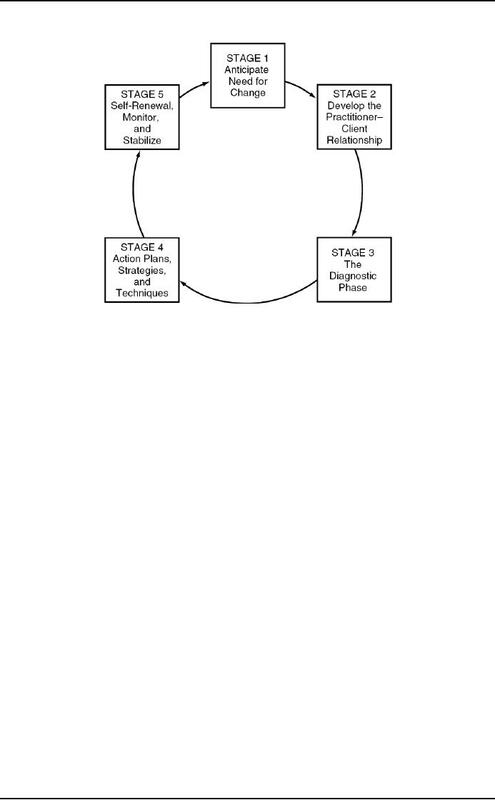 generated action plans to move the organization toward System 4 conditions. resulted in work designs giving employees high levels of discretion, task variety, and feedback about results. people's reaction to work, particularly individual outcomes related to job satisfaction and mental health. how to improve work to satisfy personal needs. the management practices used abroad, especially in Japan. movement. This was particularly evident in the spread of quality circles within many companies. 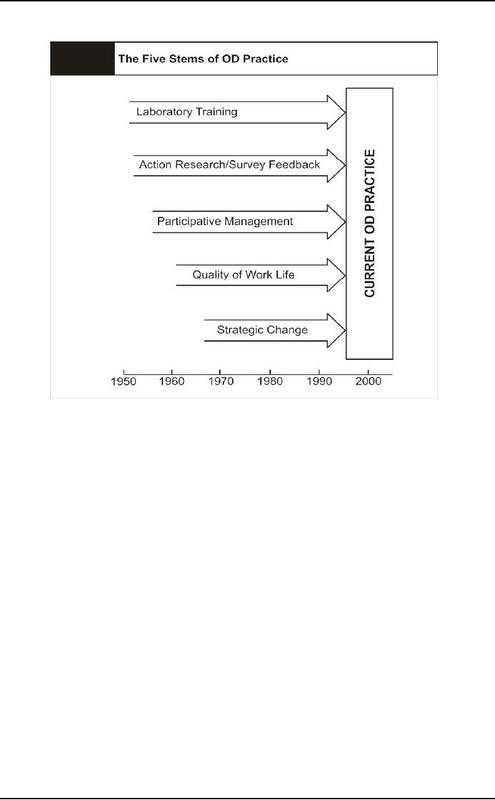 perspective from OD and encouraged planned change process at the organization level. powerful executives, and has important effects on performance. to organizations and their managers. and successful change is more probable when each of these stages is considered in a logical sequence. Before a program of change can be implemented, the organization must anticipate the need for change. competitive environment, to "what's going on out there." worked through at this point. university was invited in by the organization's industrial relations group to initiate the OD program. relationships. A weak, inaccurate, or faulty diagnosis can lead to a costly and ineffective change program. forces causing the situation, and to provide a basis for selecting effective change strategies and techniques. range or depth of the available data by interview or questionnaire as a basis for further action programs. employee turnover to 19 percent, compared with 34 percent for the industry. until solutions to the major problems was hammered out and action plans developed. system needs to develop the capability to maintain innovation without outside support. perfect, but it can still provide useful approaches to change. reported that the program led to improved teamwork. political conflicts "within top management teams are associated with poor firm performance. approach that is compatible with power-oriented situations.